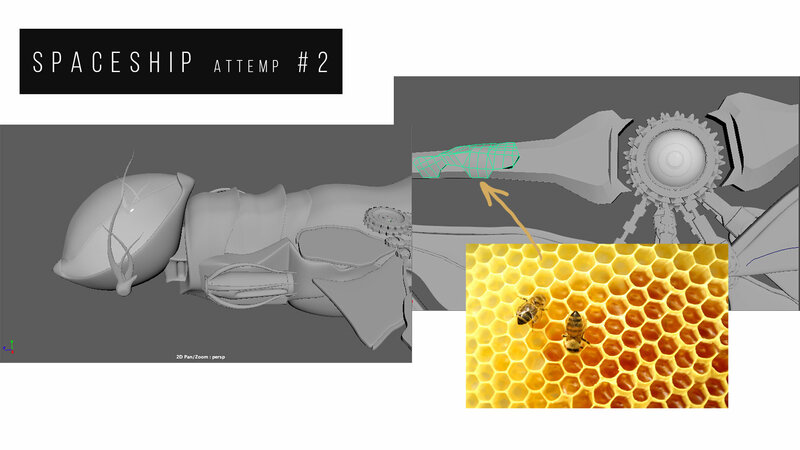 Yevheniia Sirenko » How to make a bee spaceship ? Question I’ve been working on for 2 month so far. I must say it’s the most interesting project of my life. I’ve learnt so much through this time. It’s a path of trials and errors and I want to share it all with you. 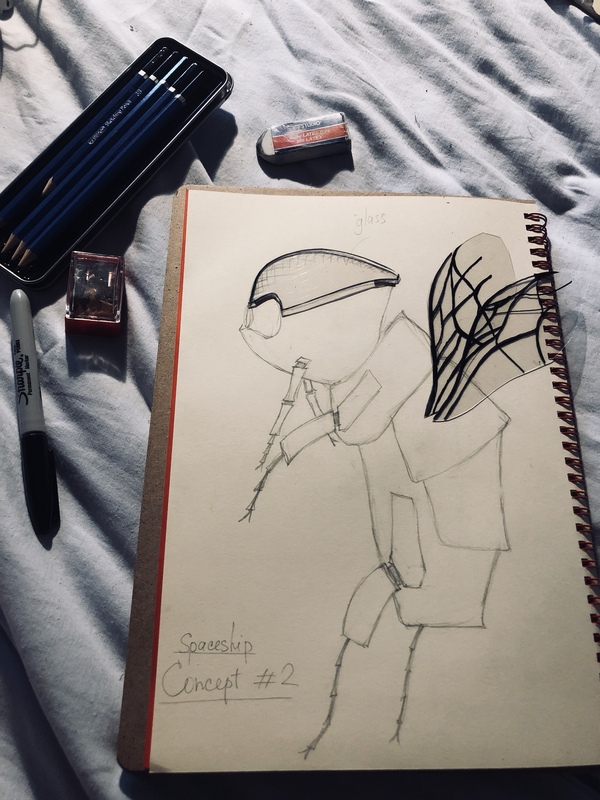 So here goes my first sketch. Looks more like robot, right ? I need to improve my drawing skills a lot. But it was a start. I had a concept. I had an idea – to go for organic. And that’s where all the fun begun. I choose ceramics look and warm color palette for my ship. I also went for solar panels for the wings. They will be huge and animated (yes, I do not settle for less). They will fold up together and go up, when the ship is in motion and unfold when he is landed to charge. So after hours and hours of modeling… Let me tell you first that it was the second thing I modeled in my life. So as you understand I don’t have much experience in modeling and during this task I had to learn tools, techniques and, in general, how to approach some parts. 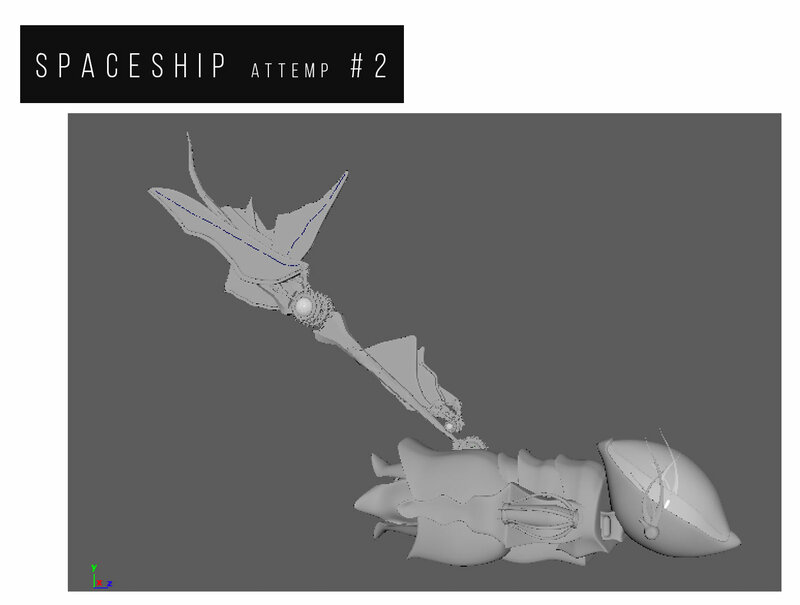 So after hours (weeks maybe) of modeling my ship looked like this and I was pretty happy about it. 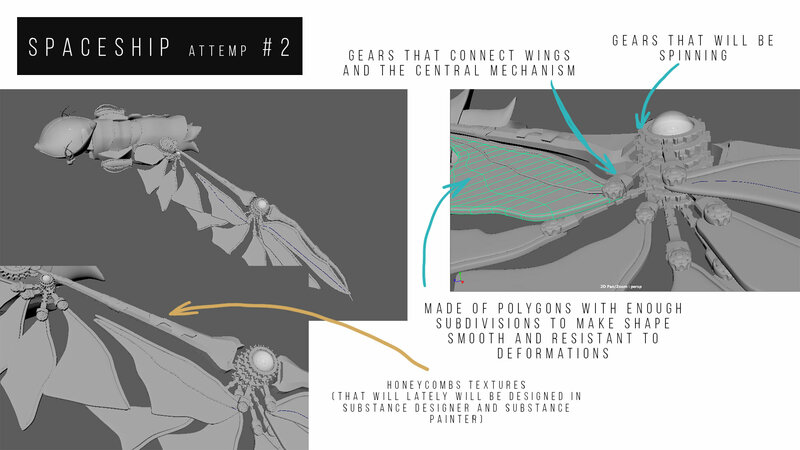 I cut the wings shape and I was diving deeper into concept thinking about particular details. For example, landing gear is still a big question for me. As well as the door. I am pretty sure my crew will be teleporting inside, because who needs doors, right ? I also had to develop more details, panels … I was happy not for long. As you remember mowing have to fold, which means they will be deforming in the process of animation. To animate any object in 3D space you have to rig it. Rigging means building a skeleton for it in Maya. Yeah, guys, kinda like real skeleton with joints and controllers 😅 It turned out that for parts that supposed to be rigged it’s better to create objects from polygons (and not as I did cutting a shape from the plane and extruding it). So that being said … let the work begin AGAIN. After some more hours remaking The Wings appeared. Here you can see that they are made of the polygons, which is good for further rigging. Also all wings are grouped into Front Group and Back Group (which is also helpful for rigging and animation). Each wing consists of the panel and a skeleton that goes along one of the side (these two parts are also grouped for each wing). Each panel has a gear that connects it with the main mechanism. Main mechanism is made of gears of different sizes and a cylinder to connect them in the middle. On top it has a glass dome (don’t know why, just pretty). My ship got more details. 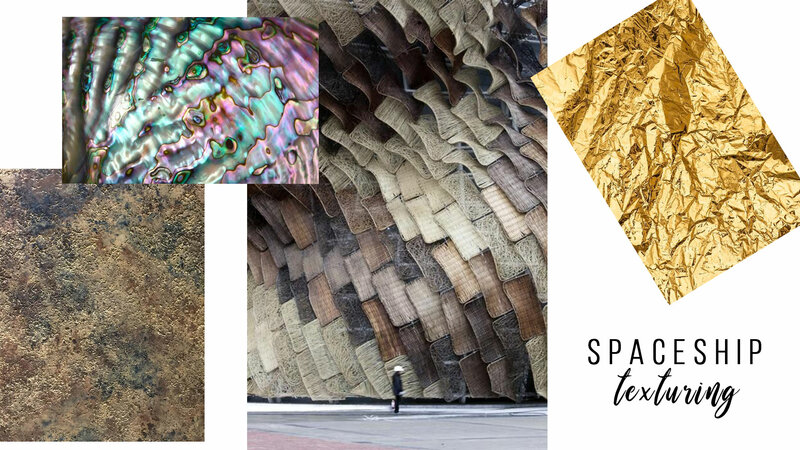 Panels in the shape of honeycombs are wrapped around the wings now. NERD ALERT !! For those how are VFX nerds here. To make they I made panel first. I used a template of a honeycomb to model on top of it. Make sure that panel you made is flat and has no volume. Then I placed panel on top and very close to the skeleton of the wing. As it is a cylinder looking object with parts extruded and beveled the wrapping part is complicated and even though it is procedural it needs manual adjustments. To make the story short after placing panel on the right spot I used Deform — Nonlianear — Bend. Pumped up curvature to 180 and oriented bend along the skeleton. Then I selected the panel and SHIFT selected skeleton and used Deform — Shrink Wrap. After this I select the panel and extrude it to give it volume. Shape you will get is a bit ugly, so I manipulated vertex and faces as well as subdivided some faces additionally to give the panel good shape. Okay, so nerd stuff is over. 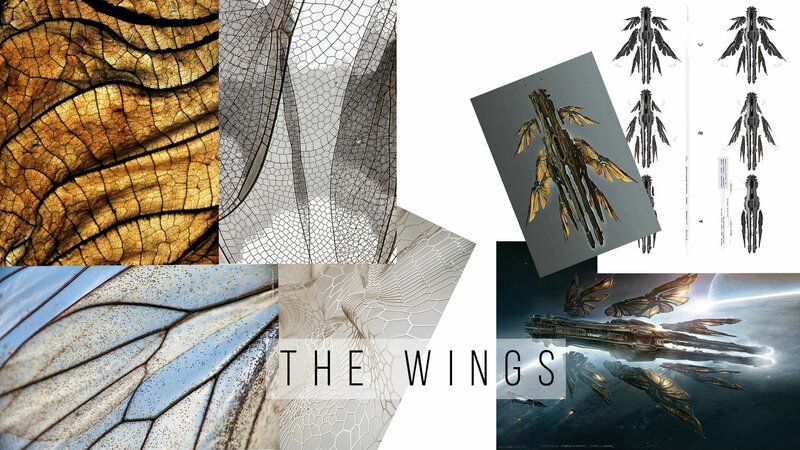 Let’s look at this cool animation of the wings. And this is how Sparkles was born. My ship in the shape of a bee. With solar panels for the wings and no door, with a giant glass dome and no bad intentions for the universe. You all can sleep well, Sparkles won’t cause any harm. NEXT POST IS ABOUT SUPER COOL ENVIRONMENT FOR MY PET 🔜 Stay tuned, my only one reader !